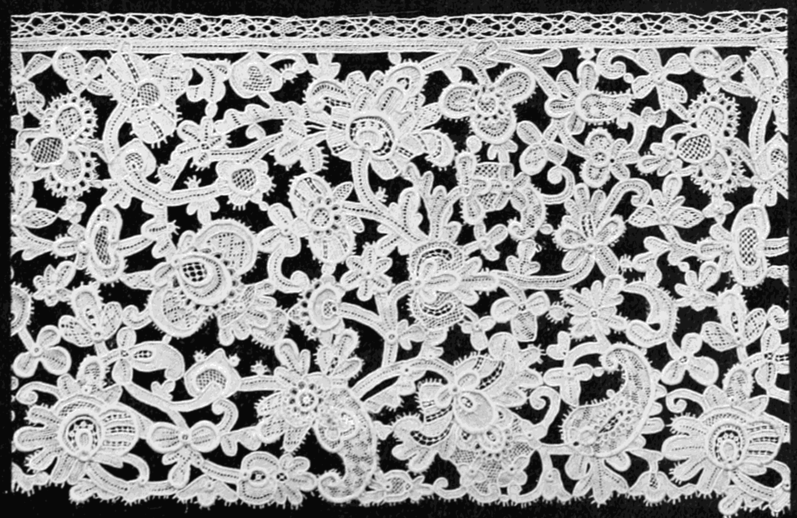 Alençon lace or point d'Alençon lace was first made in Alençon, France in the 16th century, and is renowned for its fine netting ground, corded outlined floral patterns, and heavenly detailing. 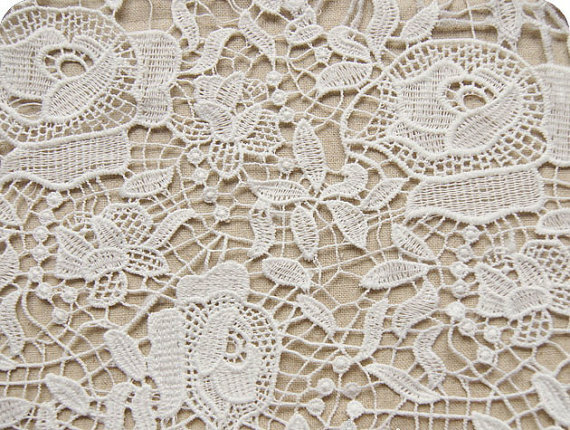 This is a needlepoint lace made of linen thread with a background of patterns, outlined with heavy threads to give it a 3 dimensional look. 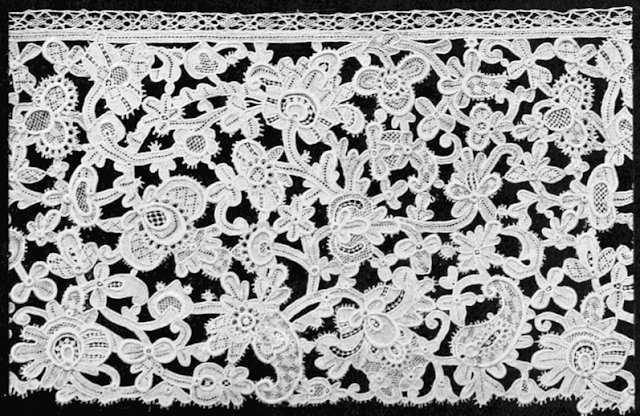 Alençon lace, sometimes called the "Queen of lace" is the most popular lace for wedding gowns. 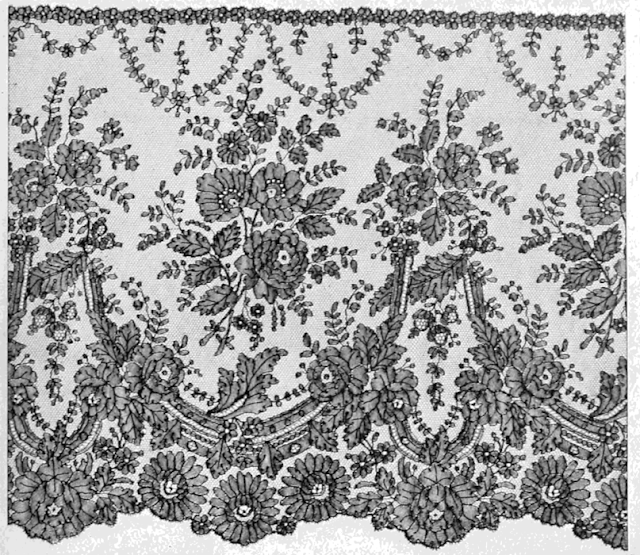 Ivory Galloon Alençon Lace with a graceful floral pattern, eyelash edges, and scalloped borders. Made in France. 20% cotton, 80% nylon. ALVINA VALENTA wedding gown designed by Jessica and hand-crafted in New York City. Beautiful French #Alencon lace gown with a lovely tiered lace skirt. 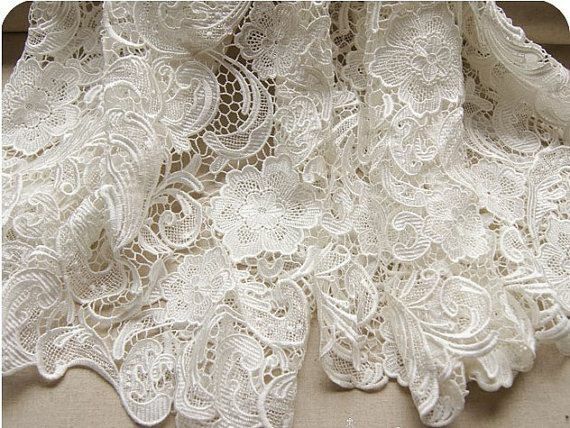 Chantilly is a delicate handmade bobbin lace (with thread wound on a cylinder reel) originated from Chantilly, France. 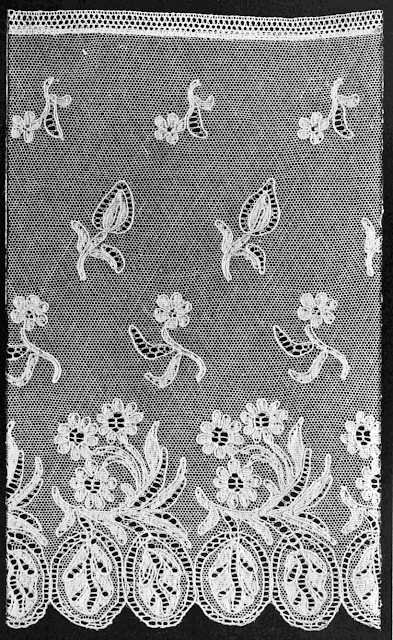 It is made on a lightweight hexagonal mesh background, the pattern is outlined in cordonnet (thread). 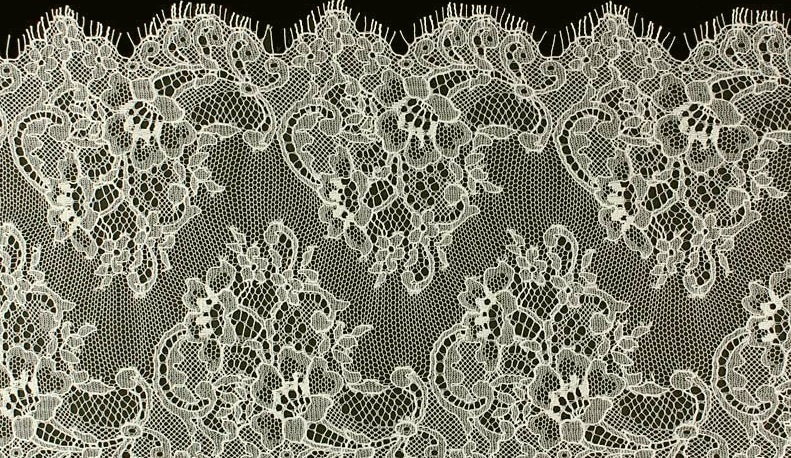 There is light and shadow effect in the pattern which is normally flowers and ribbons, this kind of lace is more popular in black. 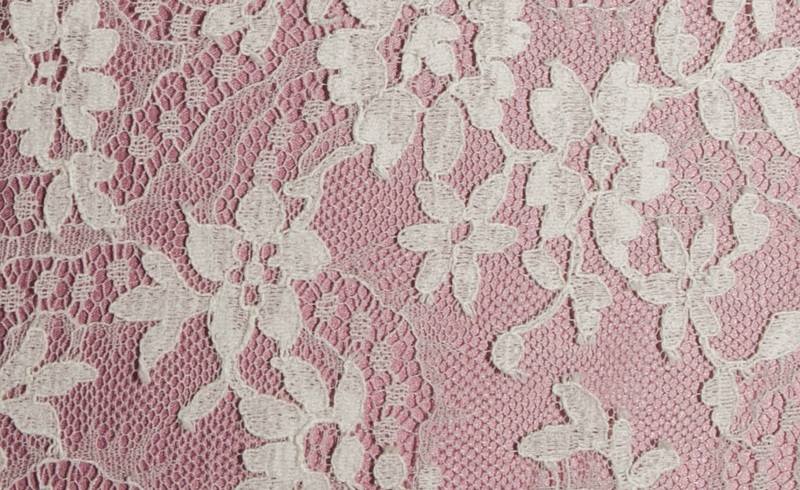 Ivory Chantilly lace with a delicate floral motif and a double-scalloped border. Made in France. The light and shadow effect in the pattern is created by the use of a half-and-whole stitch as a fill. The Duchess of Cambridge wore a classic wedding gown designed by Sarah Burton of Alexander McQueen Fashion House which incorporated a bodice of French Chantilly lace and English Cluny lace hand-made at Hampton Court Palace by the Royal School of Needlework. 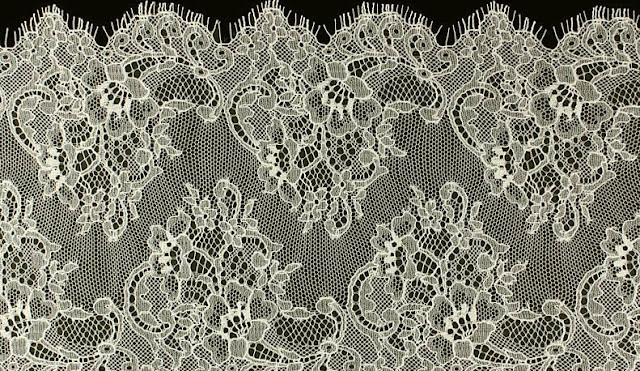 With the effect of light and shadow, Chantilly lace is much more popular in black. Gown by Vera Wang. 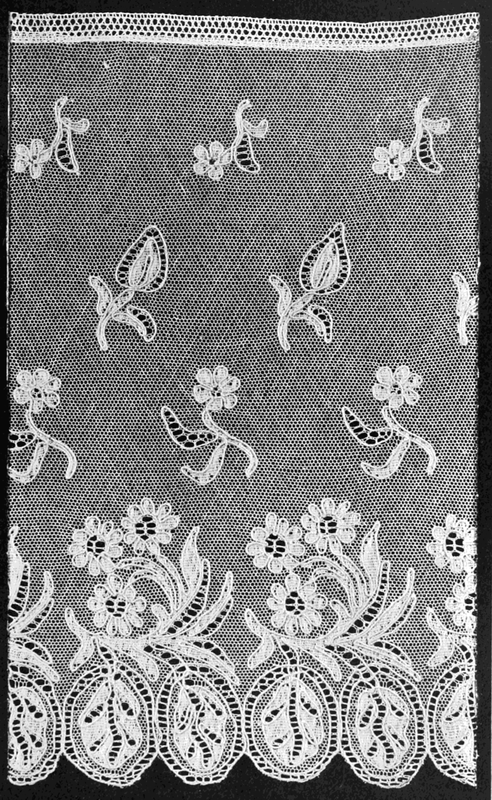 A series of embroidered motifs held together by large connecting stitches.